There are two knobs that adjust the AccuBASS® process. The level knob, and the threshold knob. The AccuBASS level knob determines the overall level of bass restoration. The AccuBASS threshold determines when the AccuBASS process turns on. If you need to know more about what AccuBASS does, you can read the article here. 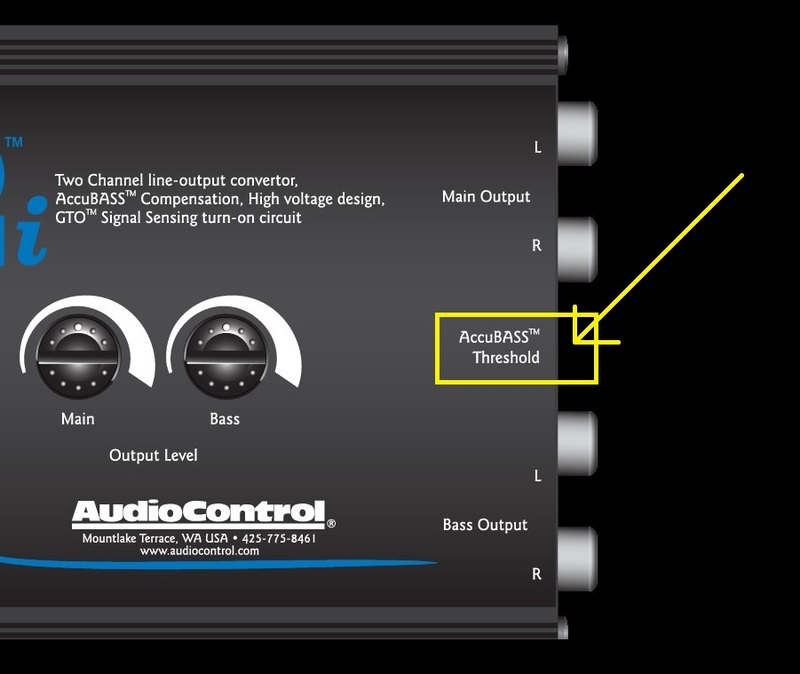 For most of our products the AccuBASS level and threshold knob are right next to each other. The LC2i threshold knob is in a different spot. It is located on the side of the unit between the Main and Bass output. You will also need a screwdriver in order to adjust it. Click here for a picture. It’s also good to note, the “Bass” knob on the LC2i is for the output gain. It does not have anything to do with the Accubass process. You use the “Bass” knob to set the level of the Bass output. At this point, you will now start to slowly turn the AccuBASS threshold to the right(clockwise) until you hear the bass pop back in. At this point the threshold is set, you can now adjust the AccuBASS level knob to your liking. You can think of the AccuBASS level knob as a bass boost at this point. Now, in the scenario that your vehicle does not reduce the bass output at higher volumes, there is a way to have the AccuBASS process always on and then you can then adjust the AccuBASS level knob to your liking. All you need to do is turn the threshold all the way to the right, which will bring threshold all the way down, effectively keeping the AccuBASS process always on. So then, no matter how loud or soft you are playing music, AccuBASS will always be engaged adding the bass boost.